Demand for seeded bread is growing strongly. 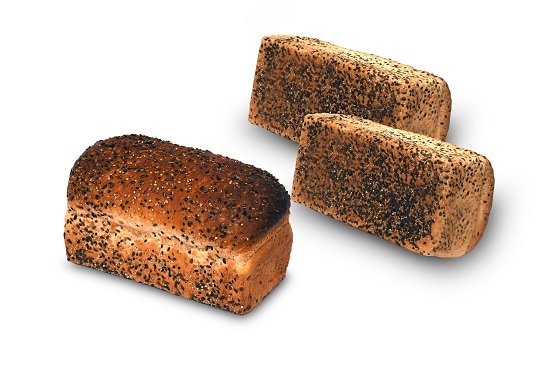 Seeding adds visual appeal to the product as well as value, and helps support claims of a tastier and healthier bread. 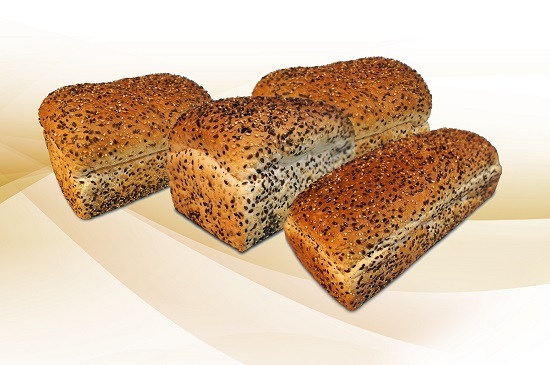 Seeding is usually achieved by sprinkling seeds or grains onto the top of the loaf as it exits the prover. However, this usually results in less than 25% of the loaf’s surface being covered; there is no way of pressing the seeds into the dough, so a great deal may be left in the bag. There is also waste from seeds or grains falling through the gaps between the tins. 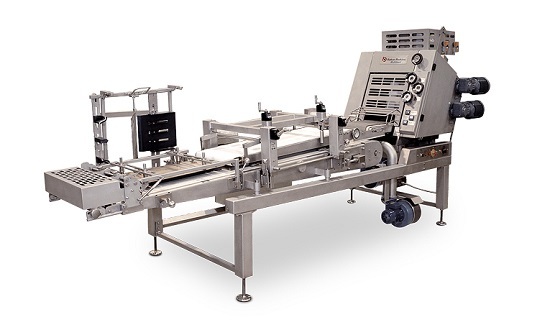 Baker Perkins’ latest update to the Multitex4™ bread moulder introduces a new technique to make a fully-enrobed seeded loaf by rolling the coiled dough piece in the seeds or grains before panning. 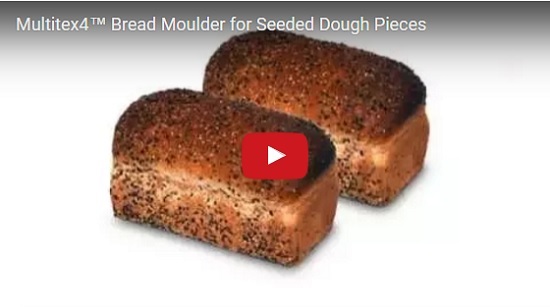 This results in seeding the top, bottom, sides and ends of the loaf, achieving good coverage while simultaneously solving the problems of pressing the seeds fully into the dough piece and avoiding waste. Metered quantities of seeds are deposited onto the moulding conveyor following the dough piece; they are then picked up and lightly pressed into the surface of the piece as it rotates under the moulding board. There is no waste, and any leftover seeds drop into the pan with the dough piece. This new innovation is available both with new machines and as a retrofit on existing moulders.